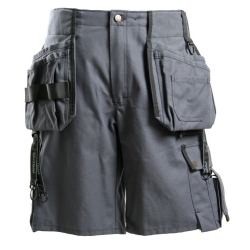 The shorts have a new modern fit and to increase garment life, we have reinforcments on stress points. 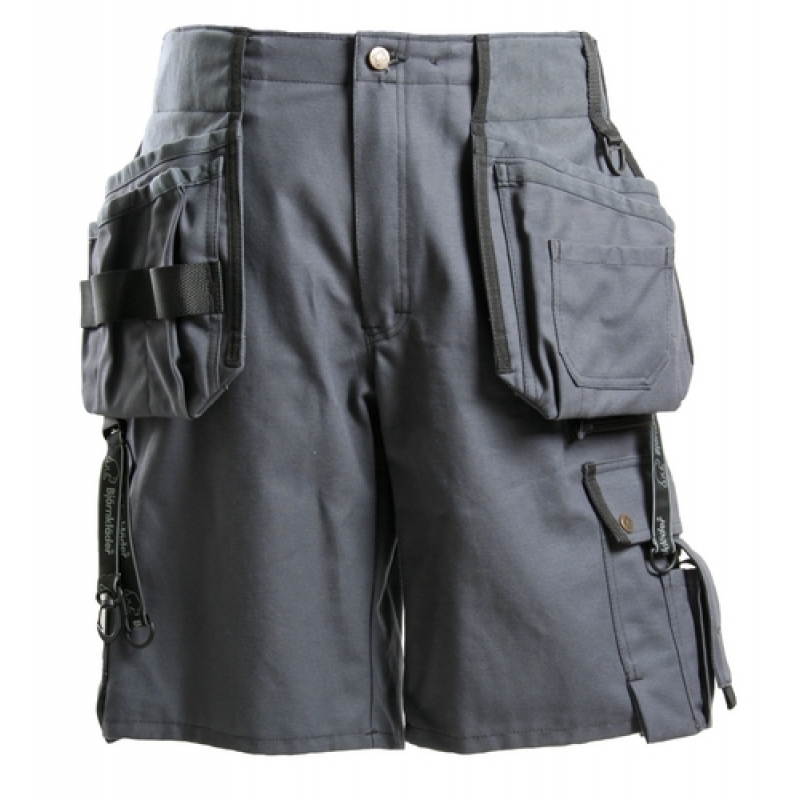 Usefull side pockets, D-rings and smart solutions for your keys. An ID-card holder is placed under one of the tool pockets. The ruler pocket is re-designed and an extra leg pocket with zipper has been added. Cotton.Weight: 350 g/m².